Ashley Huffman and Danielle Jones are twins — they went through all of life’s challenges together for more than 30 years of life. Now, the sisters from Michigan have even been through breast cancer together. Huffman was diagnosed first in November 2018, when she was just 32. Being diagnosed with cancer at a young age can sometimes mean that you carry a familial risk for the disease, so Jones decided to get genetic testing after her sister’s diagnosis. The sisters both carry a BRCA2 gene. BRCA mutations significantly increase a woman’s chance of developing breast cancer, and hike the risk for ovarian cancer as well. Women who find out they carry the gene before an actual cancer diagnosis often opt to have preventative mastectomies. Anyone concerned about their family history with breast cancer should consider being tested for these mutations, particularly if a close relative was diagnosed before the age of 50. There are some preventative options aside from a mastectomy that at-risk women may want to consider. After Huffman’s diagnosis, she underwent a mastectomy and is currently being treated with chemotherapy and radiation. Less than a month after Huffman’s surgery, Jones found out she too had breast cancer and would need treatment. Jones told MLive that her sister’s cancer essentially ended up saving her life — she would have never thought to seek genetic testing if her sister didn’t have breast cancer. 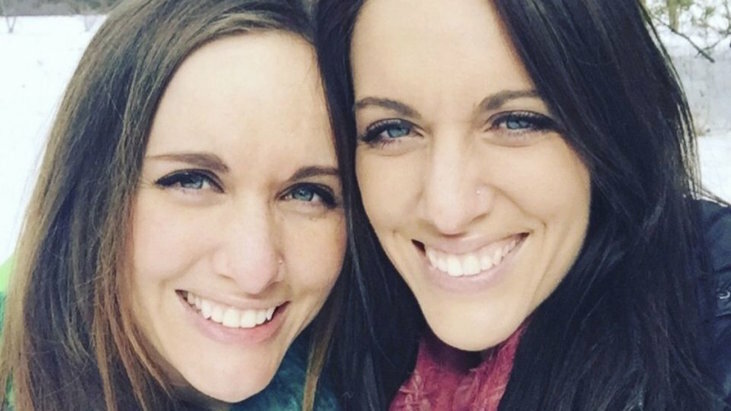 Jones will be undergoing a double mastectomy — and she said having her sister there for support will make a huge difference. “I’m literally following in her footsteps,” she said. Having a trusted friend or family member there for all of the inevitable questions that come with cancer treatment is a huge help. Here at SurvivorNet, we encourage everyone to reach out for the support that they need. While many survivors lean on family and close friends during their cancer journey, many have also told us they reached out to new friends or support groups, hoping to find people to connect with who had been through similar struggles. Jones also noted that her experience has been humbling, and she will now always encourage others to trust their gut when it comes to health — especially since early detection ended up being a life-saver for both her and her sister. “If you think you feel something, go get it checked out,” she said.